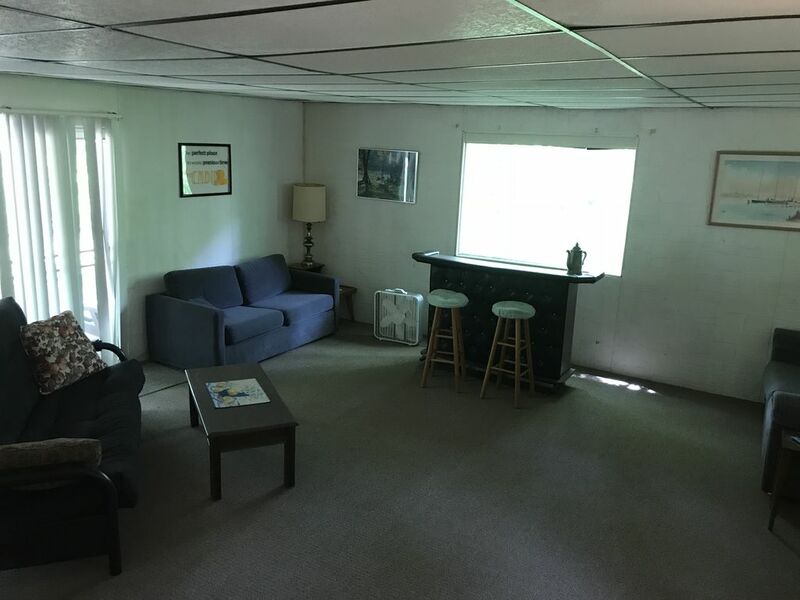 Small lake house off of marina road by Piedmont Lake, Ohio available for weekly or weekend rental. The cabin is on a quiet gravel road just off of the main road to the marina, and once in the yard it’s as though you are in a world of your own. 2 bedrooms(2 twins each), full kitchen, large living area with 2 pull out couches and a futon, and 1 bathroom. The large lot has a pavilion, charcoal grill, and spot for a camp fire. Just a short 1/4 mile drive to the boat ramp, or just cross the street to public hunting land with miles of hiking available. Close enough to clendening, salt fork, and tappan lake to stay here; and trailer your boat to a different lake each day. Piedmont has great fishing, and the marina rents pontoon boats, fishing boats, and kayaks. With a 10hp limit piedmont is enjoyable on a kayak, paddle board or, canoe since you don’t have to worry about large wakes. There is a few who bring out their sail boats, but it isn’t for beginners due to all the coves and turns changing wind directions. The fishing at piedmont is some of the best in the state, and holds the Musky record still. I enjoy cat fishing the most, and the kids love catching bluegill and saugeye. With fishing as good as it is, often you see the bald eagles and osprey doing the same. 2 window units in the house. 1 in a bedroom and 1 in the living room. Room for several cars and/or boats.